You might have seen people fighting for some food items that they belong to their region. The recent example to quote this is the fight between Bengal and Orrisa over Rasgullas. But do you know there is lot more in this, that you have to learn. If you are not aware of the same then let me give you a glimpse of the incidence. According to a researcher associated with the Jagannath temple, it is said that the sweet originated in Puri and has been part of Rath Yatra rituals since the 12th century. While arguments based on logic justify that Lord Jagannath could never be associated with chhana-based offerings, as the act of splitting milk was considered a taboo, it is also said that the ingredient was possibly introduced to India by the Portuguese. But do you know that Rasgulla is not the only one food item which is in the list, there is so much more for you to explore in this. I am going to tell you about the foods that you think are Indian but they are actually not. Do you know your very favorite Vidaloo is an origin of Portugal. Being served very commonly in Goan home, this food has a deep rooted history with Portugal. The name came to be derived from ‘carne de vinha d’alhos’, a Portuguese meat dish of pork marinated in wine and garlic.With the passage of time the food saw many changes. Like instead of wine Goan people use vinegar and the use of more Kashmiri chilies makes it much Indian. 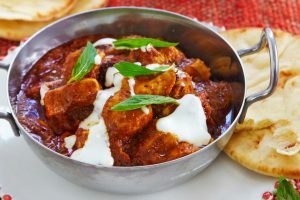 Vindaloo today is prepared in options of pork, beef and chicken and continues to be relished, particularly in Christian households with some freshly prepared sannas. The Goan Vindaloo is not the fiery one, but it has got some tangy taste in it. 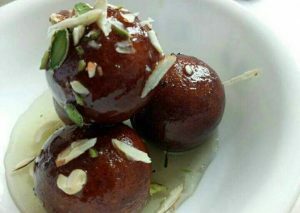 The Sugary dipped balls Gulab Jamun has connection with Persia. It is believed that the Persian invaders brought it to India, at the time when the invaded the country. The dessert got the first half of its name, ‘gulab’ from the Persian words ‘gol’ (flower) and ‘ab’ (water), referring to the rose water-scented syrup that the fried khoya balls are dunked in. The original preparation known as ‘luqmat al qadi’ consisted of soaking the khoya balls in honey syrup and then having them drizzled with sugar, which also explains why some versions of the sweet come with a coating of sugar crystals. Today we cannot imagine our sweets lists without adding Gulab Jamun to it, which is not an invention of India. 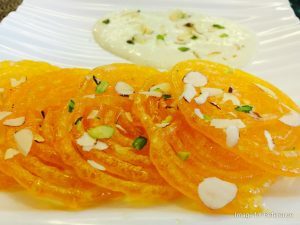 You might get drooled when you see Jalebi, but do you know that your favorite Jalebi has histrory associated with Middle East. Actually from the Middle East where it is found in various preparations, it was originally called ‘zalabia’ in Arabic or ‘zilabiya’ in Persian. It was the Persian invaders who brought the dessert with them to India. Today, the crisp fried sweet dunked in sugary syrup, is famous across the country and is part of important celebrations as well. The North Indians love their version crisp and thin while people in the South usually relish a thicker one. You may find many avatars of Jalebi in India and Imarti is one of the famous ones. Taking a sip of filter coffee, have you ever thought that this very proud beverage of India is not so India. Many of us, have our knowledge that the coffee of kafi is an origin of South India, but actually it is a gift of Yemen to India. Popular lore suggests that this beverage too came to India much later. It is believed that the Sufi saint Baba Budan discovered the joy and wonder of coffee while on a pilgrimage to Mecca. Wanting to share this discovery with his people, he brought along seven coffee beans from Mocha, Yemen to India. 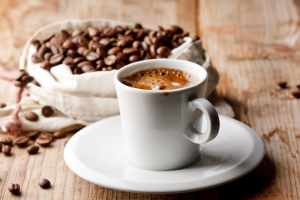 Back then, coffee began to be consumed without milk and sugar as a substitute for liqueur. The filter coffee that we know today was then popularized by Indian coffee houses that were run by the Coffee Board of India since the mid-1940s. 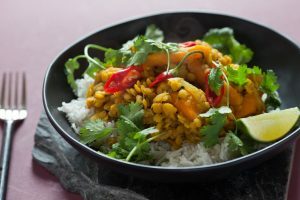 You cannot imagine your day without steamed rice and Daal served with it. But are you aware that it is a dish of neighbor country Nepal. . This simple comfort meal too isn’t Indian so to say. Actually of Nepali origin, the dish entered Indian kitchens through North Indian influences, spreading across the country’s vast geography to be adapted for different palates. North Indian kitchens are incomplete without Rajmah. Do you know that this modified version of kidney beans is something that we got from Mexico. 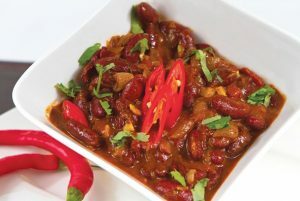 To begin with, the kidney bean was brought to India from Portugal and the technique of soaking and boiling beans is borrowed from Mexican cooking traditions, the bean constituting their staple diet too. A rich and thick rajma gravy prepared with chopped onions, garlic, tomatoes and other spices, the Indian variant is very different from the Mexican preparations of the kidney bean. Now this is something that is really going to amaze you. 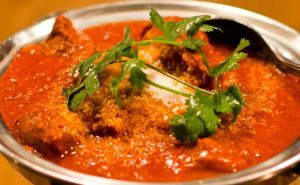 Your very favorite Chicken Tikka Masala too is an origin of a foreign land Glasgow. Amidst several claims, a famous one talks of how the dish came to be born as a result of the improvisation by chef Ali Ahmed who owned a restaurant called Shish Mahal in Glasgow, in 1971. However, there are people and food researchers who still believe that the origin of the dish is still unknown. Originally known as a ‘sambosa’, the Indian version was introduced by traders from Central Asia somewhere in the 14th century. 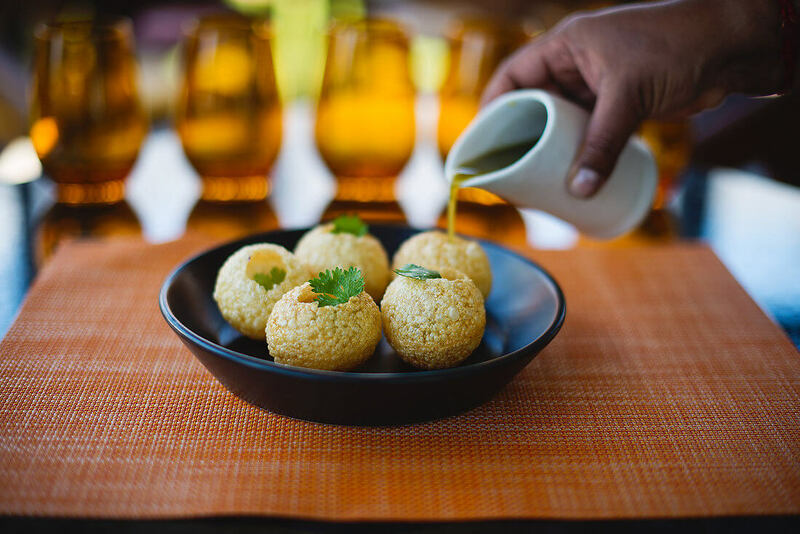 Be that as it may, the crispy golden snack found a place for itself in the history and traditions of Indian. 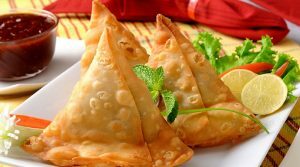 We Indians are good in modification, hence you can find many avatars of Samosa in north India. I am sure that the food facts have amazed you. These Indian foods that you claim are yours are actually not. So next time when you order any of these food items in a restaurant or prepare them at home, don’t forget these are gifts of some foreign traders to India.